With the plethora of companies offering life insurance around the US, it can be difficult to parse through all the information available in finding the right company for your needs. Life insurance is more than just the coverage and premium payments. The company must also be solvent and steady, long lasting, and provide a wide variety of coverage that makes them one you can trust. The Columbian Mutual Life Insurance Company has been offering a wide range of policies for nearly 135 years. Their longevity speaks volumes about their solvency, but more importantly their recent growth provides indications that the company is still expanding to meet the needs of its customers. Established in 1882, Columbian Mutual Life was founded in the State of New York and over the next 90 years served the people in and around the New York area. Life most life insurance companies, they had their ups and downs in terms of providing good coverage. However, they also survived very trying times such as the Great Depression of the 1930s. It was the trying times of the early part of the 20th century that helped prepare Columbian Mutual Life to grow over the course of time and develop a line of excellent life insurance policies. By the 1970s, Columbian Mutual Life began to expand its services from the northeast and move across the US. Today, the company is now found in all 50 states with agents representing the firm and providing direct customer assistance in getting the right life insurance policies. The growth of Columbian Mutual Life has been considerable and the company is still expanding their services to provide even more options for their customer base. From the company’s website: The Columbian Financial Group of companies includes our parent company, Columbian Mutual Life Insurance Company, along with Columbian Life Insurance Company, Columbian Financial Services Corporation, New Vision Service Corporation of New York and other affiliated companies within our corporate family. We conduct operations from our administrative corporate offices located in Binghamton, New York. There are a considerable number of positive aspects when it comes to Columbian Mutual Life. This all starts with the longevity of the company which provides a sound foundation and peace of mind for its customers. It cannot be overstated that a company’s longevity is a powerful reason to choose them as your life insurance company. With a history that goes back nearly 135 years, it speaks well that they will be around for the foreseeable future. Another attribute of Columbian Mutual Life is the variety of life insurance policies they offer their customers. You can fine all types of life insurance that range from large, whole life down to preneed and funeral insurance. The variety of their product selection makes them an excellent place to start searching for a policy to protect your family. It also helps that they have geared their services to be very customer friendly and informative, making it easy for them to answer your questions about the product packages they offer and how they can benefit your family in case of an unexpected loss. A.M. Best Rating: The A.M. Rating reflects the robustness of the Columbian Mutual Life Insurance Company in terms of its financial status. The latest rating available places the company with a “B++” or “Good” rating. 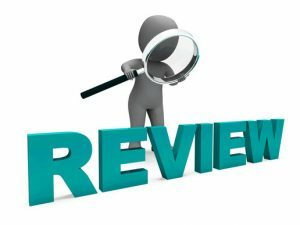 While the rating itself is very good and demonstrates the strength and capabilities of the Columbian Mutual Life Insurance Company, it does represent a slight downgrade from the “A+” rating that they enjoyed previously. The reasoning for the new rating is not all negative as their financial standing was affected by the recent acquisition of new companies into their overall corporate structure. A.M. Best has noted that this slight downturn is mostly reflective of a temporary situation in the company that may be resolved quickly as they progress forward from their acquisition efforts. The company is well positioned in terms of investing and its overall capital outlook. It must be noted that they are well diversified and show no signs of long-term fluctuations. However, it is predicted by A.M. Best that the rating will not rise again until there is more capital investment in the company to help stabilize from their recent acquisition efforts. All in all, there are higher rated carriers out there to choose from so enter into any long term policies with caution. Customer Service: Currently, Columbian Mutual Life enjoys a robust customer service record that places it among the best rated life insurance companies. While there are always customer complaints and issues involving the billing, claims, and overall service, the number of incident is for the most part smaller than the average for similar companies. This means that most people who get their life insurance and other services from the company are satisfied in terms of having their questions answered and their issues addressed. The company itself maintains a solid customer service department which starts with the agents that act as the first line of representation to their customers. The website also provides ways of contacting the company about the policies that you own and they will answer most questions and address issues in a prompt, professional manner. Of course, no company is perfect and Columbian Mutual Life is no exception. But for the most part they provide ample customer service that addresses the needs of their customers. Reviews from BBB: Although Columbian Mutual Life is not accredited with the Better Business Bureau, they are currently enjoying an “A+” rating from the organization. The rating reflects the very limited number of complaints that have been registered with the company over the years. An “A+” rating is the highest awarded by the BBB and indicates in large part the company’s effort at serving its customers. While even the best companies will have issues now and then, Columbian Mutual Life has demonstrated their willingness to work with their customers in resolving problems quickly and efficiently. The focus on life insurance means that Columbian Mutual Life offers a range of plans that fit the needs of young people, the middle aged, retiring, and seniors. Term life insurance policies provide the least expensive means of life insurance coverage because the policy has a set end date upon the expiry of the term. Whole life insurance provides increasing cash value so the policy can be cashed out or borrowed against as life insurance loan to help create supplemental retirement income, invest with, pay down debt, etc. In addition, the smaller preneed packages which are burial insurance locks in the costs for funeral expenses which takes away the financial burden from families. In addition, the wealth of senior plans makes Columbian Mutual Life a natural first place for those past retirement age to look for good life insurance coverage at a low rate. All things considered, Columbian Mutual Life offers a considerable number of benefits for those looking at life insurance coverage. They combine the right factors that make them one of the best life insurance companies in the nation thanks to their wide variety of life insurance plans, longevity, and emphasis on customer service. In fact, it is their customer service which makes them a real contender when it comes to searching for the best life insurance company for your needs. There is something comforting in knowing that your questions and concerns will be addressed promptly and professionally. In addition to their policies, the rates they charge are mostly favorable compared to other national sources. It helps that they enjoy considerable experience in the field which makes them one of the best. The drawbacks to purchasing a policy from Columbian Mutual Life are relatively few. However, you should consider all information available before making your decision to choose. Of course, not every company is perfect and Columbian Mutual Life is no exception. The recent expansions to purchase new companies and the fluctuations in their overall finances has sent up a red flag. While their status may indeed be a temporary one of a company that has recently expanded, and needs a little time to center itself before growing again, it is also a bit troubling that their financial status is not as strong as it should be. All things considered, the Columbian Mutual Life Insurance Company offers what everything you want for your life insurance needs. While it is true that the company is struggling just a bit, it’s also true that their foundation is solid which means that they remain a solid, confident investment when it comes to providing good life insurance policies. Columbian Mutual Life offers competitive rates for their life insurance policies, offers excellent customer service, and enjoys good ratings from respected institutions such as the Better Business Bureau and A.M. Best Rating. For anyone looking at life insurance coverage, Columbian Mutual Life is certainly a good company to consider in meeting your needs. When it comes down to getting the best policy out there it is important that you have options. At TermLife2Go, we consider many factors when recommending a company to a client. If you are interested in comparing other plans to what Columbian Mutual is offering, please give us a call today for a free life insurance consultation.